Indian beauty is largely associated with a Bindi on the forehead that not only enhances the look but also has cultural significances. Before we look into the different types of bridal bindis that are available in India, let’s know about the significance and usage of Indian bindis. The word “Bindi” is derived from the Sanskrit word “Bindu” which means a dot or a drop. Initially bindis used to be circular in shape; however with new age and its upcoming style statements, bindi is nowadays available in diverse shapes and sizes to sync with the facial structure, makeup and need. It is believed that in ancient days, women used to make various designs from leaves and used them as painting on the forehead. Bindi is worn in the middle of forehead which is considered as symbol of hidden wisdom and woman power. It is also considered as the place for third eye according to mythologies. It is believed that bindi is the representation of a woman’s inner strength and energy; especially red bindis. At the same time, there are other beliefs also such as red bindi is the symbol of love and harmony in a family. As the name itself suggest, this bindi exhibits a long and elegant design that can be used as a replacement of maang tikka in wedding ceremony. To add some style and glamour, go for the unconventional makeup with this bridal maang tikka bindi that is sure to make you the crescendo of all eyes. 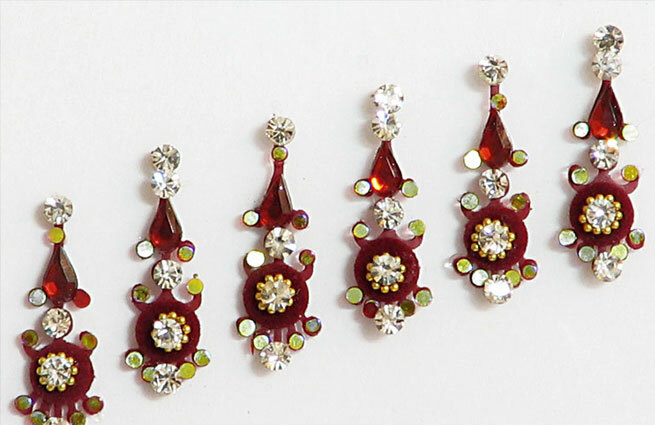 It is a beautiful ornamental bindi that covers your forehead and head in hair jewelry style. With the popularity of this bindi growing rapidly and globally, nowadays western celebrities are also seen wearing it. Exclusively designed in various patterns and styles in view to the requirement, demand and trend of the modern market, these designer bindis are a huge hit all through. 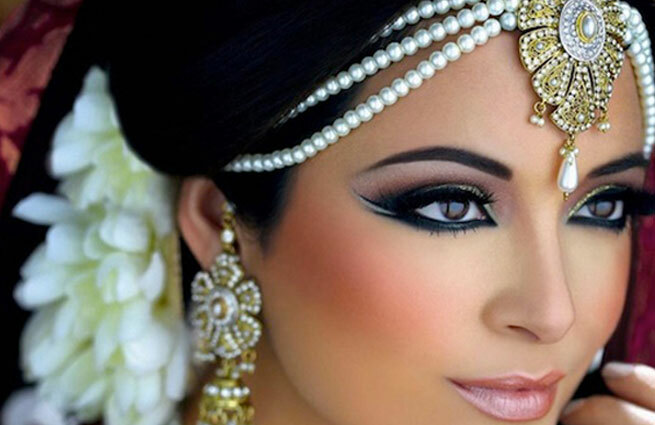 Not only for wedding, ladies use it for classy yet glamorous look. For your wedding, want to try something new and innovative? 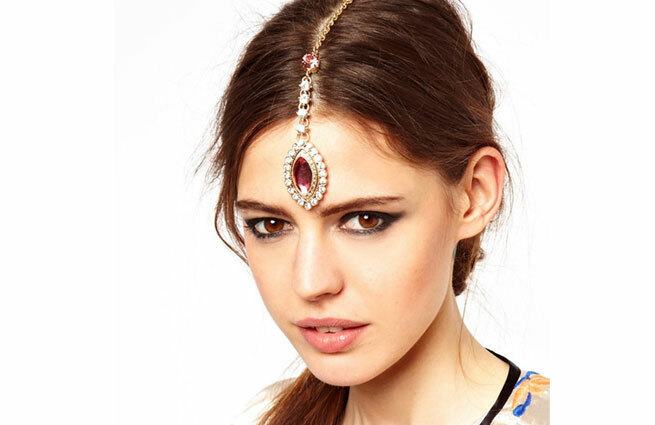 Here is the forehead bindi that is sure to make you the perfect bride with a difference. Instead of the conventional forehead design made of sandal paste, opt for the forehead bindis available in multiple patterns and fashion. Bindi is not only restricted among women nowadays. Here’s the groom tilak bindi that is an unconventional and cool style statement to try out. Attend your wedding ceremony in style with this long lasting maroon colored tilak bindi that is patterned with white stones. The best feature of this bindi is that it will not get smudged in your forehead, thus giving you a clean and attractive look. This is an elongated single bindi that is mostly patterned with colored stones to add some spice to your look in a simple and elegant manner. It is used widely by women to dress up for any party and event.